4th Annual SNP at SAPPHIRE Kickoff & Cocktail Party. 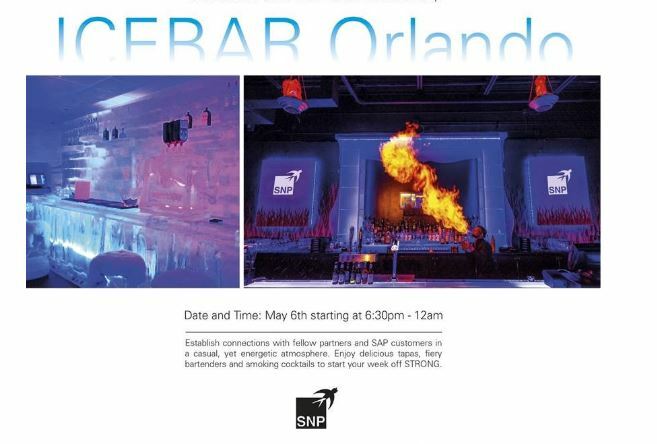 Start your week off STRONG with fiery bartenders and smoking cocktails while networking with customers, partners and SAP executives. Fill out the form on the left hand side to secure your spot today!